Peter van Dalen is a Member of the European Parliament for the Netherlands. His political party is the ChristianUnion and in the European Parliament he is a member of the ECR Group. He is currently serving his second term. Van Dalen was educated in history, law and international relations, worked as a teacher and many years for the Dutch Ministry of Transport. 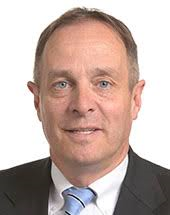 Mr. Van Dalen is an active member of the European Parliament committees on Transport and Fisheries. From the start of his first term, Van Dalen has worked for the promotion of freedom of religion or belief. He initiated the first parliamentary debate dealing exclusively with religious freedom, in 2011. 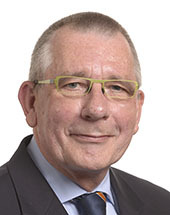 Van Dalen has written many parliamentary resolutions on the subject and is behind many initiatives such as events, letters and parliamentary questions on the situation of religious and faith communities. 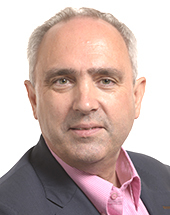 Dennis de Jong is Member of the European Parliament for the Dutch Socialist Party. Before he was elected as MEP, he worked for the Netherlands Ministry of Foreign Affairs as Special Advisor on Human Rights and Good Governance. From 1993 till 1999, he worked in Brussels, first for the European Commission on Justice and Home Affairs issues, later as Justice Counsellor at the Netherlands Permanent Representation at the EU. In 2000 he received his Ph.D. at Maastricht University on the basis of his thesis: Freedom of Thought, Conscience and Religion or Belief in the United Nations – 1946-1993. De Jong also holds an M.A. in international relations (1979, New School for Social Research, New York), as well as degrees (comparable with M.A. and LLM) in economics, and in law (1977/1976, Erasmus University, Rotterdam). The Intergroup employs a secretariat of two staff members on a part time basis: Ellen Verhoog and Claire Gilder. The Intergroup does not endorse views or opinions expressed when made by the secretariat staff in their other positions. If you would like to contact them, please email secretariat@religiousfreedom.eu.